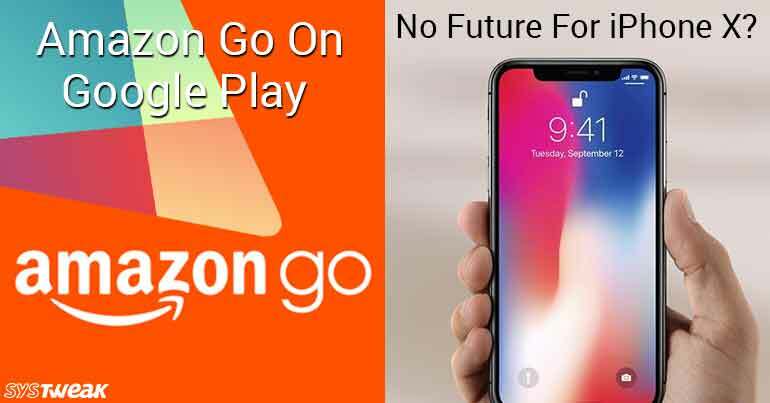 Amazon Go, a convenience store is launching in Seattle today but the app of the same has already launched on Google Play. Amazon Go is a convenience Store which makes your shopping experience seamless. Amazon Go store uses sensors and cameras to record what items you have picked from the store and it charges you on your Amazon account for whatever you take out of the store. Therefore, saving your time and reducing the hassle of standing in queues for billing. Isn’t the machine learning technology behind it is impressive? “Just Walk Out Shopping” is the expression that is used to Advertise the app on Google Play. It launched into Play Store yesterday. Although, all of us might not get chance to take advantage of Amazon Go, as Amazon has no plans to extend the retail store but Seattle. You can buy instant breakfast, lunch, snacks and dinner options by Amazon’s chefs and local bakeries and kitchens. You get to pick grocery essentials and other items like dairy products, the list doesn’t end here. Checkout the store in Seattle to know more. WHAT DOES THE APP LOOK LIKE? The app when installed gives you a brief introduction of how the app and Amazon Go works. It gives you more details about the store. With Amazon Go, you can connect with your family and friends. The benefit of this is, if you have kids, you can keep an eye on your kids and know what they bought. The Amazon Go app is available at Amazon’s App Store and Google Play Store as well. iPhone X is not doing good in the market, there might not be the future of the bezel-less phone. WHY IS THERE NO FUTURE? The mere thought of not having any successors of mighty iPhone X, raises a question in mind why went wrong, doesn’t it? If the concurrent rumors are true, Apple’s iPhone X might get canceled, due to disappointing performance in the market. Apple will probably stop the manufacturing of the device this summer. It is said, Apple has already deduced the production of iPhone X. 18 million iPhone X units are planned to be shipped in the first quarter of this year. According to the sources, even with the exquisite design, iPhone X is not performing good in China where people love to keep big screen smartphones. The design when was first launched received negative responses due to the notch on the top portion of the screen. It is said to be the reason why the reception for the iPhone in China is exceptionally poor. Due to the notch, people especially in China, think that they don’t get space on the screen to work with. It is believed that Apple has taken usable space by cutting out the notch from the screen. You might remember iPhone 5C which got canceled and there were no further iPhone launched like that. Given the conditions and exceptionally poor performance of iPhone X, we have a fear that it might meet the same fate. Well, this is not that of a bad news for Apple as there are always prepared with a backup plan. By fall 2018, Apple will launch a new range of iPhones possibly second gen 5.8 inch iPhone X, 6.5 inch iPhone X Plus, and 6.1 inches iPhone SE. It is said that all of them will have Apple’s Face ID technology. WHAT IS THE OTHER ISSUE? Well, this is not the only issue that Apple facing. Apple is also dealing with the lawsuits and complaints that people have filed with the short life of its smartphones, known as batterygate. According to the recent reports, Apple is said to be slowing down iPhones with older batteries and Apple has also acknowledged the same. People feel cheated and also thought it is Apple’s silent strategy of encouraging people to buy newer iPhones. However. Apple has denied the allegation of encouragement. Later Apple also offered to reduce the price of the battery to make it convenient to replace the battery of an older iPhone.